I’m surprised by how many CEOs want their company to become a household name, even though most households will never buy from them. This is another subtle difference between B2B and B2C companies. With a lot of B2C brands – Coke, Nike, Levis, Red Bull, Amazon — virtually any household anywhere in the world could possibly become a customer. So it makes sense to become a household name by spending hugely on advertising and sponsoring high visibility events. B2B companies, on the other hand, usually have much more defined markets. In the last major B2B company I worked for, Lawson Software, we could identify approximately 30,000 companies in our target markets, in our geographies that might actually buy from us. We put them all in a database, made some educated guesses about when they might buy, and starting contacting them. We kept sifting through our data to improve our probability rankings and contacted high probability buyers frequently. For me, it didn’t matter if Lawson was known in every household. It mattered a great deal if we were known by the 30,000 companies that might actually buy from us. That’s where we invested our marketing development dollars and targeted our lead generation campaigns. If you work for a B2B company, I’d advise a similar approach. If that means that people at cocktail parties don’t know who you work for … well, take a brochure with you. 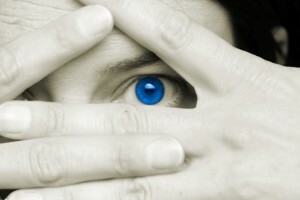 One Response to Branding: Why Buy Eyeballs That Won’t Buy?